The well-being of patients is the top priority of every clinician and healthcare administrator, but every day they get caught in the middle of serious information gaps that force them to guess in situations when the stakes could be life and death. Patient care falls through these information gaps. Money falls through them, too. Everyone suffers. The Joint Commission’s National Patient Safety Goals for 2018 bring heightened attention to these issues, specifically with requirements for improved staff communication, measures to ensure prescribed medications are being used safely and as directed, and directives for addressing aspects of patient safety, along with instructions on preventing surgical mistakes. The new 2018 Patient Safety Goals went into effect on January 1 of 2018. Some of the Joint Commission’s goals are easily implemented individually, but I first direct attention to the second goal, “Improve Staff Communication,” because it touches so many of the other goals. While the Joint Commission’s subgoal under this heading is to “get important test results to the right staff person on time,” improved communication among the treatment team can not only accomplish this but is also fundamental to achieving the majority of the other goals. For instance, the first Joint Commission goal, “Identify Patients Correctly,” necessitates improved communication. The intended outcome is to help ensure patients receive the correct medications and treatment, including blood transfusions. To do it well, providers need to have fluid communication lines open. Reaching for the first two goals helps support the third goal, which some might argue is the most pressing: "Use Medicines Safely". Some of the instructions for achieving this goal are easier to implement because they’re carried out by medical staff, including the labeling of medicines that were not previously labeled, and paying special attention to patients who are taking blood thinning drugs. 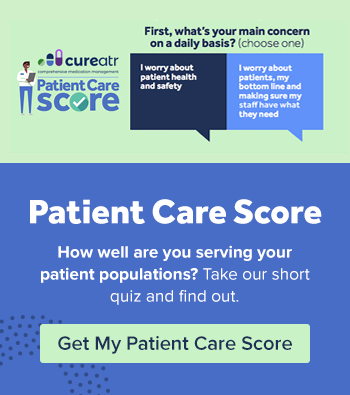 The other instructions for the third goal are designed to improve patients’ medication adherence, which is harder to implement because they can be derailed by patients failing to follow instructions or accurately report their behavior. It’s also extremely difficult for a prescribing provider to be completely informed about what the patient sitting in front of him or her has been prescribed elsewhere. It's a frustrating problem for providers, since they know the information is already being captured, but they can’t dependably get to it. It’s a dangerous domino effect: poor medication adherence leads to high hospital readmission rates, and while high hospital readmission rates are certainly bad for patients, but they are also extremely expensive, can threaten accreditation, and can damage reputations. As recently as 2012, more than 1400 hospitals failed to reduce their readmission rates to prescribed levels, resulting in more than $280 million in penalties across the board. 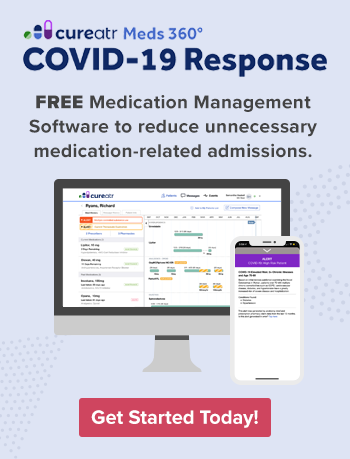 Studies such as this show that patients with either low or intermediate medication adherence have significantly higher 30-day readmission rates (20.0%) than those with high medication adherence (9.3%). The remaining four goals of the Joint Commission can be addressed with new directives and enhanced guidelines at your facility: Use Alarms Safely, Prevent Infection, Identify Patient Safety Risks, and Prevent Mistakes in Surgery. Your procedures should be tested and improved so that patient alarms can be heard and responded to on time. The Joint Commission points to the hand-cleaning guidelines from the CDC and WHO, with directions to set and implement goals for improved hand-cleaning, and refers providers to implement proven guidelines to prevent hard-to-treat infections, blood infections from central lines, post-surgical infections and urinary tract infections caused by catheters. The Joint Commission goals also include instructions to identify patients at risk for suicide. The final goals involve surgery, beginning with instructions to make sure the correct surgery is done on the correct patient at the correct site on the patient’s body. Providers are directed to mark the site where surgery will take place, and specifically pausing prior to beginning surgery to ensure proper consideration takes place that will prevent surgical mistakes. Reaching all of these goals goes hand-in-hand with the improved flow of information between providers and will surely enhance patient safety in your organization.